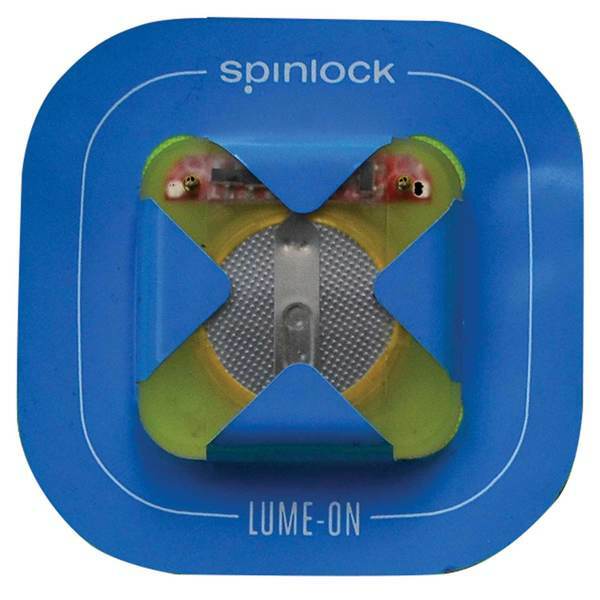 Spinlock's Lume-On bladder illumination lights are water-activated flashing LED lights that illuminate inflated life jacket bladders to increase visibility and aid in location. To be used in addition to approved life jacket lights, these directly attach to the underside of inflatable chambers. Retail packaged as a pair.